Constructed from quality wood this cabinet is worth adding to any interior. It is functional furniture with three big and two small drawers. 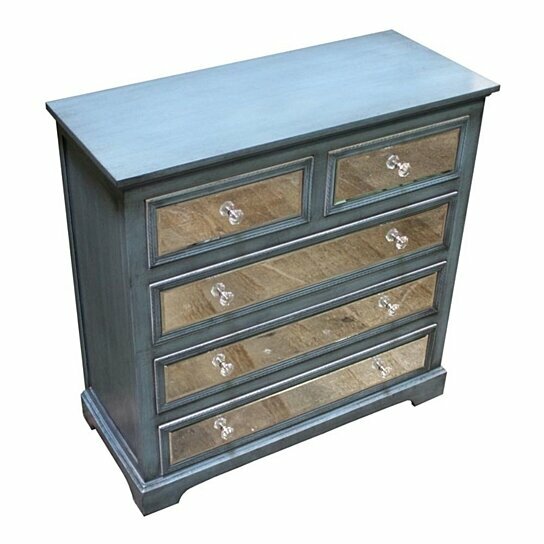 The cabinet is blue in color, while the drawers have a natural wood finish. The pull out drawers, have stylish knobs that make it easy to open. This furniture is perfect and can be introduced a part of your bedroom or kids room decor too. The top of this table can be used to keep frame, flower vase or other decorative. This furniture is artistically designed and worth adding to any interior. The drawers of this cabinet have ample space so you can keep anything you want.